On Friday CNN will air a one-hour documentary which looks at the “challenges and dangers” its team encountered while reporting from the Syrian city of Homs. The broadcasting of the documentary, called ‘72 Hours Under Fire‘, comes two weeks after two Western journalists – Sunday Times correspondent Marie Colvin and French photographer Remi Ochlik – were killed in the same city, after a building they were in was shelled. According to a release, in the CNN documentary the broadcaster’s journalists who reported from Homs and the news executives “tasked with keeping them safe” will discuss the dangers taken as part of their aim of “getting the story out of Syria”. 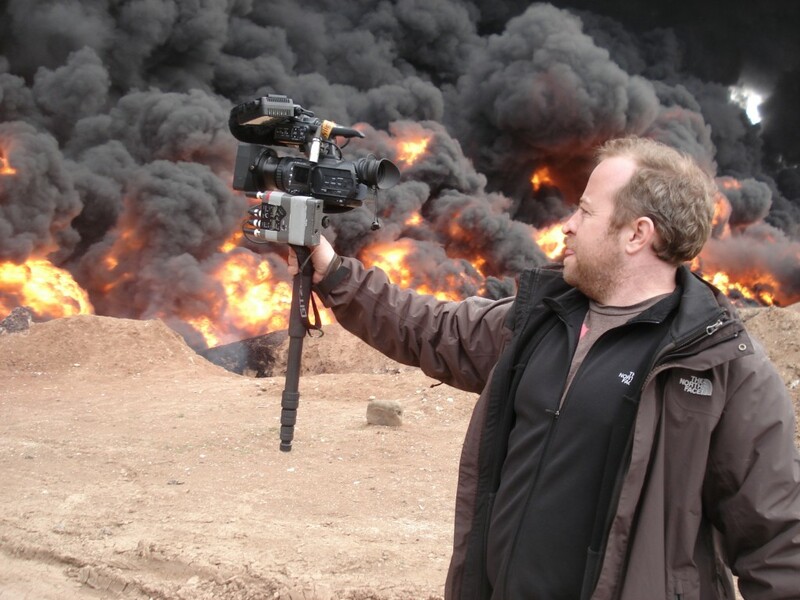 The experienced team CNN sent into Homs included Beirut-based correspondent Arwa Damon, photojournalist Neil Hallsworth and security risk advisor Tim Crockett. 72 Hours Under Fire chronicles their journey into and out of Homs, the dangers they faced while newsgathering and reporting there and why this assignment was different than previous ones. This entry was posted in Broadcasting, Press freedom and ethics and tagged CNN, dangers for journalists, Homs, journalists, Syria on March 6, 2012 by Rachel Bartlett. Read the Hacked Off live blog on the Leveson inquiry and follow our Twitter feed @hackinginquiry. This entry was posted in Journalism and tagged Capello, Homs, Journalism, journalisted, leveson, Media Standards Trust, Redknapp, Syria on February 15, 2012 by Rachel Bartlett. This entry was posted in Newspapers and tagged American downgrade, Eurozone crisis, journalisted, Media Standards Trust, Somalia, Syria on August 10, 2011 by Sarah Booker. The Committee to Protect Journalists said the latest release of foreign journalists being detained in Iran and Libya “is a very positive development”, but repeated its call for the release of others. Yesterday it was confirmed that Al Jazeera journalist Dorothy Parvaz was released after being detained in Syria and then deported to Iran, while four journalists detained in Libya last month, including a British freelancer, were also released this week. Details of the whereabouts of a fifth journalist reported to have been detained in Libya at the same time, UK-based photographer Anton Hammerl, remain unknown. “We are relieved that these journalists are free. It is now time for the Iranian and Libyan authorities to review the cases of dozens of journalists who remain imprisoned mainly for attempting to report on historic developments in the Middle East and North Africa,” said CPJ executive director Joel Simon. According to the CPJ Iran, together with China, is the world’s top jailer of journalists with at least 34 in prison. This entry was posted in Editors' pick, Press freedom and ethics and tagged Commitee to Protect Journalists, dangerous countries, Iran, Libya, prison, Syria on May 19, 2011 by Rachel Bartlett. Questions about the whereabouts of Al Jazeera English journalist Dorothy Parvaz remain unanswered this week, after going missing upon her arrival in Syria in April. Earlier this month Journalism.co.uk reported that Al Jazeera claimed to have been given information that Parvaz had been deported to Iran. But on Saturday Al Jazeera reported that Iran’s foreign minister Ali Akbar Salehi said he had no information about her whereabouts. Asked on Saturday whether Syria had handed over the journalist, Salehi said: “I have no information.” Salehi, speaking to Al Jazeera, had previously urged Syria to investigate Parvaz’s case. In a statement Al Jazeera said it is continuing to call for information about the journalist’s whereabouts, access to her, and for her immediate release. Though Ali Akbar Salehi, Iran’s Foreign Minister, has said he has no information about her whereabouts, Al Jazeera has requested information from a number of ministries in Tehran in order to secure Dorothy’s release. Yesterday, according to reports today such as this article by the Financial Times, Iran’s foreign ministry spokesman Ramin Mehmanparast told reporters in a press conference that finding information on the “condition” of Parvaz is “important” for the country, but “stopped short of admitting that Ms Parvaz was in Iran”. Mr Mehmanparast said that Ms Parvaz had attempted to enter Syria on “an expired Iranian visa” and “without a journalist visa” to report “clandestinely” to cover protests on behalf the Qatar-based broadcaster. This entry was posted in Editors' pick, Legal, Press freedom and ethics and tagged Al Jazeera, Dorothy Parvaz, Iran, missing journalists, Syria on May 17, 2011 by Rachel Bartlett. Al Jazeera reported today it has been given information that journalist Dorothy Parvaz, who was reportedly detained in Syria upon her arrival last month, has been deported from to Iran. This information has come from Syrian officials, who had previously told Al Jazeera they were holding Dorothy in Damascus, and that they would be releasing her. Ms Parvaz was initially detained in Damascus 12 days ago. 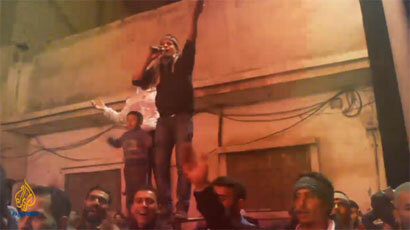 Last month Al Jazeera confirmed its Arabic bureau in Syria had been suspended for safety reasons. This entry was posted in Editors' pick, Press freedom and ethics and tagged Al Jazeera, detained journalists, Dorothy Parvaz, Syria on May 11, 2011 by Rachel Bartlett. This entry was posted in Journalism, Newspapers, Online Journalism and tagged alternative vote, av, Journalism, Journalisted Weekly, royal wedding, Syria on May 4, 2011 by Joel Gunter.